The “Fondazione di Venezia”, the bank foundation, which invests in culture, education and research in Venice, has recently opened M9, a 110 million euros site that houses Italy’s first digital museum and has been dubbed a ’micro smart city’. Located in the mainland district of Mestre, the aim of M9 is to spark urban regeneration in the area. Apart from the museum, the 10,000-square-metre incorporates seven buildings, including a 16th-century ex-convent, an old factory and new builds. It also features a retail centre and an auditorium fitted with 4K video technology. Powered and heated by 276 solar panels and 63 geothermal pipes, it has been LEED Gold certificated for its sustainability. Mestre is in urgent need of investment, because the population of Venice’s historic centre has plummeted from 190,000 after the Second World War to 55,000, as residents flee record numbers of tourists who saturate the centre and push up property prices and rents. Rising water levels present an additional challenge, as demonstrated last October when the worst floods in a decade devastated the city centre. Mestre, on the other hand, is poorly structured and has few major landmarks. The digital museum, one of the first of its kind, could put Mestre on the map. 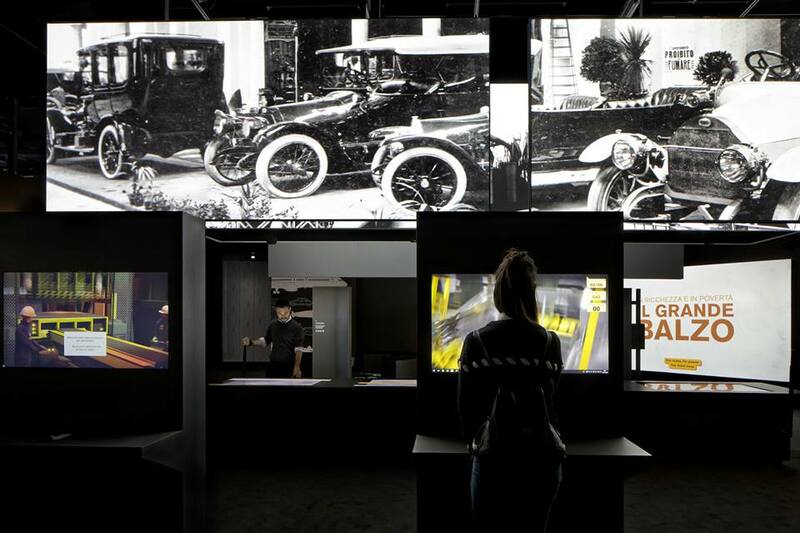 Entirely objectless, it recounts 20th-century Italian history through archival documents, images, data and footage displayed with interactive screens and holograms. According to Luigi Brugnaro, Mayor of Venice: "Until now, Mestre has served as a dormitory for tourists on visits to Venice. With this museum, we invite the world to discover both our history and our modernity”. Smart city applications housed in 3 ’digital islands’ outdoors serve to improve visitor experience. These include information totems, electric bike stalls, free Wi-Fi, benches with USB charging sockets etc.